Technology is constantly evolving, and it is important that businesses, educational institutions, not-for-profits, and other organizations have access to affordable high-quality IT hardware to accomodate the rapidly growing computing demands. In this day and age, reliable technology equipment is integral to any organization’s success. 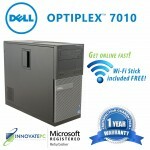 At InnovatePC.com, we understand how essential it is to have an infrastructure that is dependable. We offer an array of refurbished enterprise hardware including computers, laptops, tablets, displays, printers, servers, storage, networking, and telephony to help any organization build a reliable IT infrastructure. We strive to provide quality refurbished IT hardware combined with unparalleled customer service and comprehensive warranties. 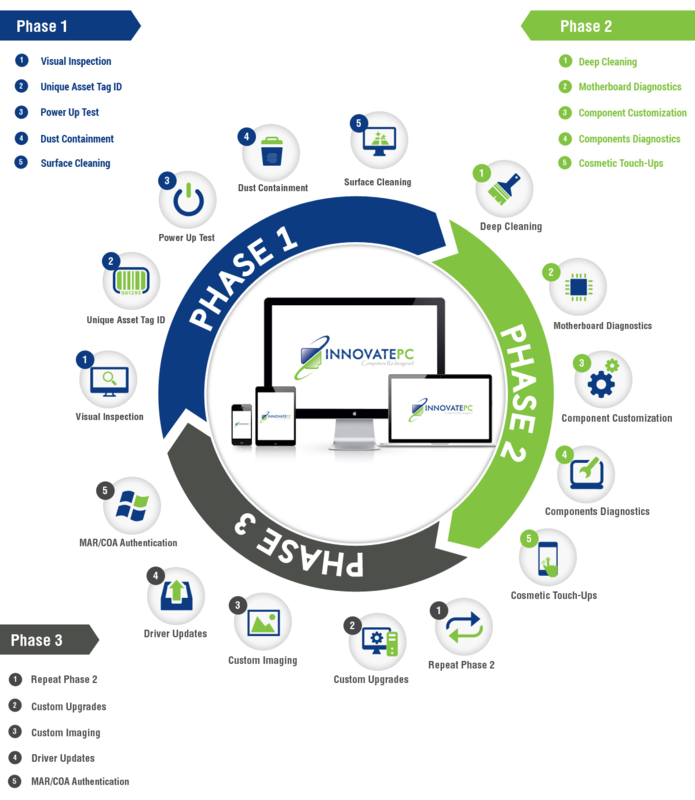 InnovatePC.com understands the challenges our clients’ face and can provide customized solutions to help overcome those challenges. Our promise to our customers is that we will provide you with the best quality refurbished IT equipment, customer service, and warranty while dramatically lowering costs. Communicate your goals and challenges to us and let us provide you with fast, economical hardware solutions. 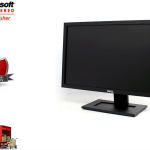 – We provide high quality refurbished IT equipment at a fraction of what it costs to buy brand new from OEMs. – We can provide custom-tailored solutions that fit your specific needs and budget, as well as flexible warranty and payment options. – Our trained and skilled technicians rigorously refurbish, configures, and tests all equipment to function like new out of the box. 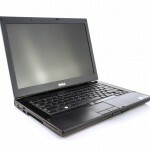 – We provide one-year warranty complete with advanced replacement and free shipping on all orders. Extended warranty options for two, three and five years are also available. – Every customer is assigned a dedicated account manager who manages all quotes, orders, warranty, customer service, logistics and RMA personally. – We are a Microsoft Registered Refurbisher, enabling us to load and image authentic Windows operating systems legally and cost efficiently. 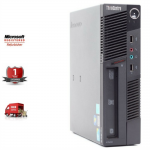 – We carry an entire suite of enterprise equipment that can meet all your business needs including computers, laptops, servers, storage, networking and more. 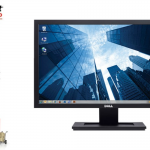 – We are not limited to any particular brand, which means we carry all major equipment manufacturers including Apple, Dell, HP, Lenovo and more. – We have a vast network of resellers and distributors that can help source almost any equipment including obsolete and discontinued by the manufacturers. – We can create and install custom images on any machine to accommodate proprietary software used by customers. We pride ourselves in what we do and strive to make sure that every product leaving our facility is of the highest quality both functionally and cosmetically. We have hundreds of repeat customers who are satisfied with our products and services. If you would like to speak to a few of them, please ask, and we would be more than happy to put you in touch with them.